1. 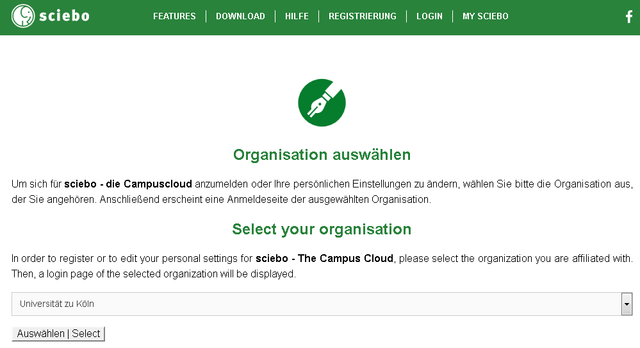 Click on https://sns-sp.sciebo.de/secure/de.php and select "University of Cologne"
2. Log on with your employee account. 3. Confirm your permission for your personal data to be sent to sciebo. 4. 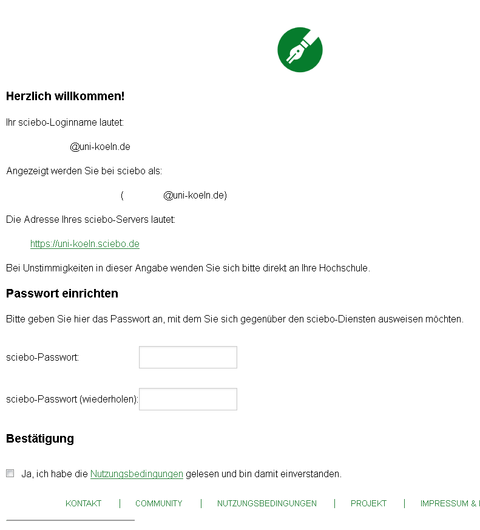 Enter a password for your sciebo account. 5. 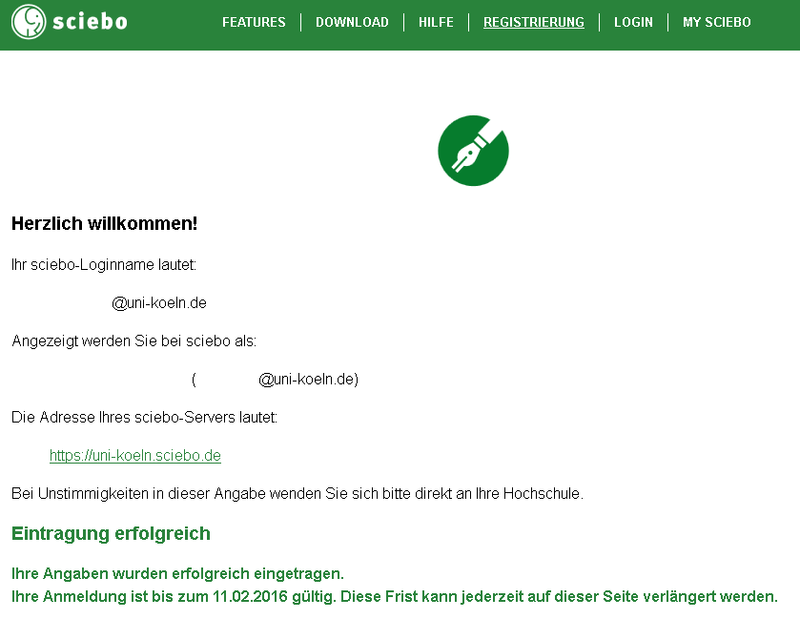 You will receive confirmation of whether your registration was successful. Your sciebo account name will also be displayed. 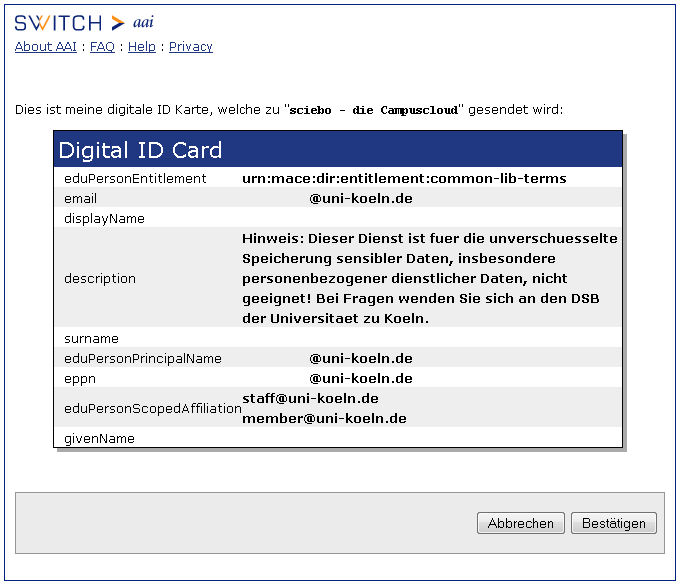 The sciebo account name is composed as follows: Employee account + @uni-koeln.de (Example: jsmith1(at)uni-koeln.de). Important: The sciebo accout name is only used for web browser access via https://uni-koeln.sciebo.de/ and for logging in via the client.